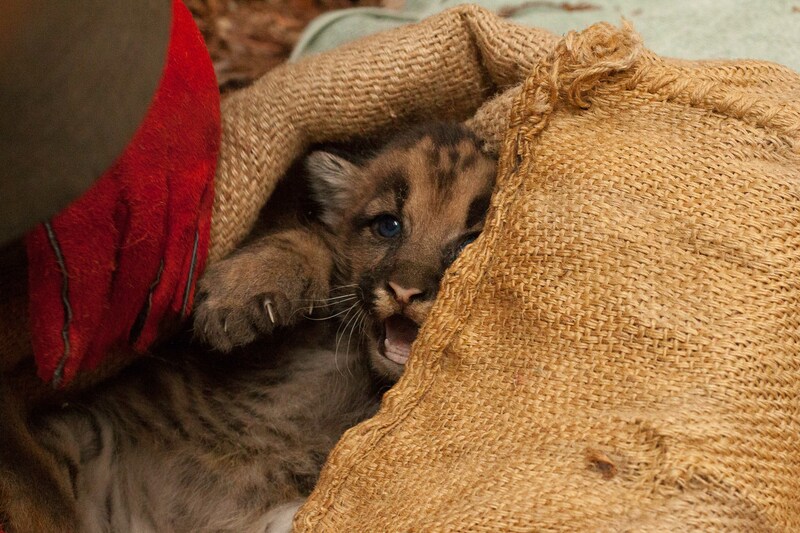 Lion 23F gave birth to a litter of kittens about 4 weeks ago near Forest of Nisene Marks State Park. Our team visited her current nursery site today and found 2 feisty 5 ½ pound kittens, known to our project now as 44M and 45M. 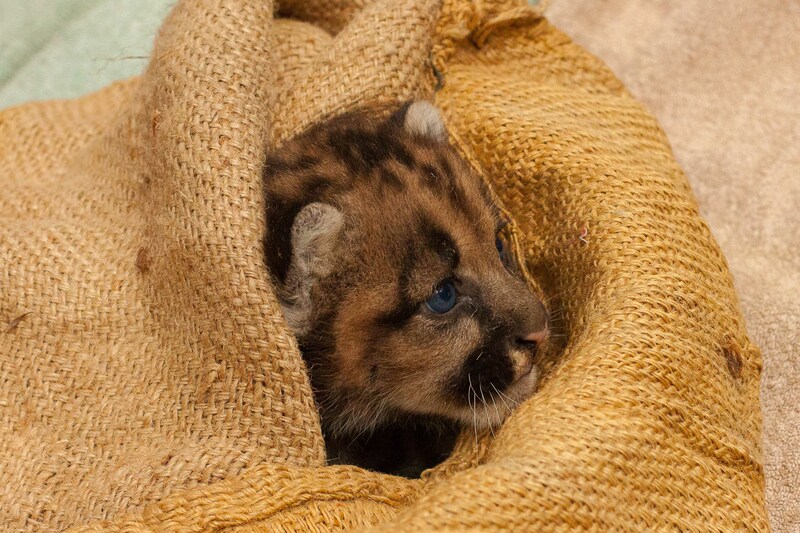 We briefly handled them to fit them with expandable tracking collars and returned the 2 brothers to the base of the redwood tree where we found them huddled together. The tracking collars will allow us to monitor their survival and then fit them with gps tracking collars before they leave their mother and strike out on their own so we can follow them to their adult home. However, that won’t happen for another 18 months or so.